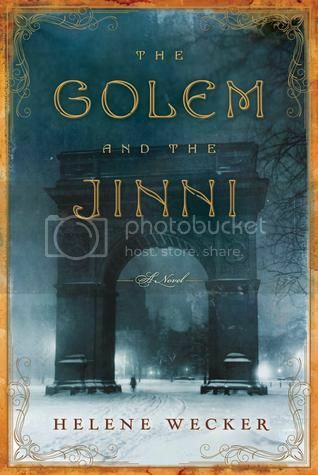 The Golem and the Jinni by Helene Wecker is the story of two mythological creatures from different walks of life who find themselves living in New York City’s immigrant neighborhoods in 1899. Chava is a golem, a creature sculpted from clay and bound to the will of her master, who had bad luck with women and wanted a submissive but companionable wife. Unfortunately, he doesn’t survive the crossing from Europe, and so Chava is left to make her own way in the world. When her master dies and her bond to him dissolved, the empathetic emotional connection to his mind shifts, and now she can sense the desires of everyone around her. Luckily, she is taken in by a kindly Rabbi, who helps her to find her way. Ahmad is a Jinni. When a New York City blacksmith tries to repair an old copper flask, Ahmad emerges and discovers that he has been enslaved by an evil wizard. He feels trapped by his human form and by the rules he must obey to prevent discovery, and so he spends his nights roaming the city looking for something more. Chava and Ahmad are opposites in nature, but become fast friends. As they interact, the two of them begin to struggle with their own natures and their limitations. Ahmad makes Chava realize that while she was happiest during her brief time serving her master, that she could have been used to do terrible things. Chava teaches Ahmad that his actions have consequences and influence the people around him, even as his only intention is to be free. I loved the way that Wecker used her characters to explore the dynamics of immigrant life. The blending of cultures within the city are part of what allows a golem and a jinni to become friends in the first place. Ahmad experiences the best and worst of the close Syrian community, and develops an animosity with the neighborhood gossip because he’s too different to really fit in. Chava gets a job in a Jewish bakery, where she makes friends with a young woman named Anna who has romantic flings and eventually gets pregnant. And then there’s Michael, the Rabbi’s estranged son, who is an atheist but also one of the most charitable people one could ever meet. He devotes his entire life to running a halfway house for new immigrants to help them get settled. New York is a place of both community and possibility, and represents a freedom from the constraints of the old world and its limitations. The Golem and the Jinni is a beautifully written tale that explores the very nature of free will and being true to oneself. Although Chava and Ahmad are creatures of clay and fire, they represent the humanity possessed by each and every one of us. I started reading this last year and just got distracted. I definitely want to get back to it this year! I enjoyed this too. Chava and Ahmad are wonderful characters and I loved the setting. I love the cover of this book and it seems that what is inside is just as beautiful. Thank for being on the tour! Fantasy and history. I’m sold. I have been seeing this book all over the place. I have been wanting to take a look at this one. I think after your great review it will happen. You sold me on fantasy and history..:) Keep up the great work. This was a lovely book! I loved the friendship between Chava and Ahmad, and the conversations they had.